Earlier topic: Are these foundry type matrices? Could someone give me some info about my press? 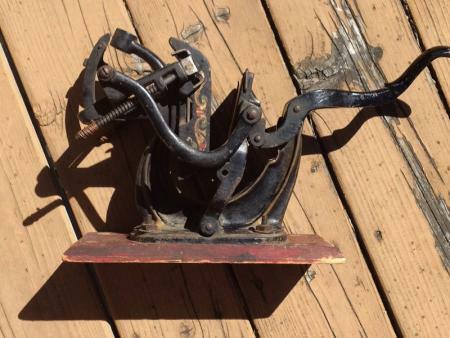 Hello: I have a press that I’m trying to sell and have been doing some research but can’t seem to find what kind of press I have. It came from my grandfather’s house to ours where it sat in my father’s basement all of my life (I’m in my mid-60’s.) We had a larger press that we kids used to use to make neighborhood flyers, but this one sat sadly on the shelf. I don’t know what happened to the charger or the inking disk, and the roller is shot. The press moves smoothly and is a smaller 3x5 and looks like the photos of the Sigwalt 9 and 10 models, but the decal is different. 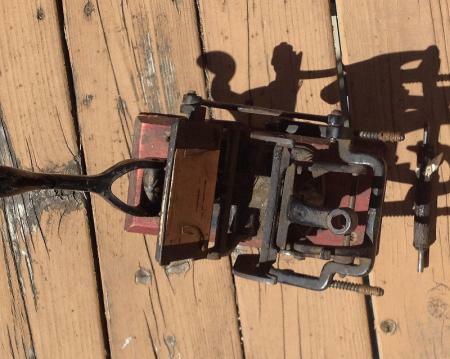 What type of press this is? When were these made? I have no idea what time period. What is the fair value of the press as is? Where might the buyer find the missing pieces? Any information would be greatly appreciated as I would like to sell this piece. Thanks! 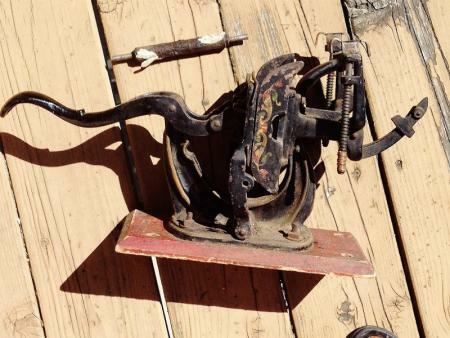 Looks a bit like the 1885 Baltimore #11 printing press for sale on eBay right now. Search BALTIMORE PRINTING PRESS on eBay to see what I mean. Search completed auctions as well to see what they sell for, to get an idea of value.